There is no health without mental health. 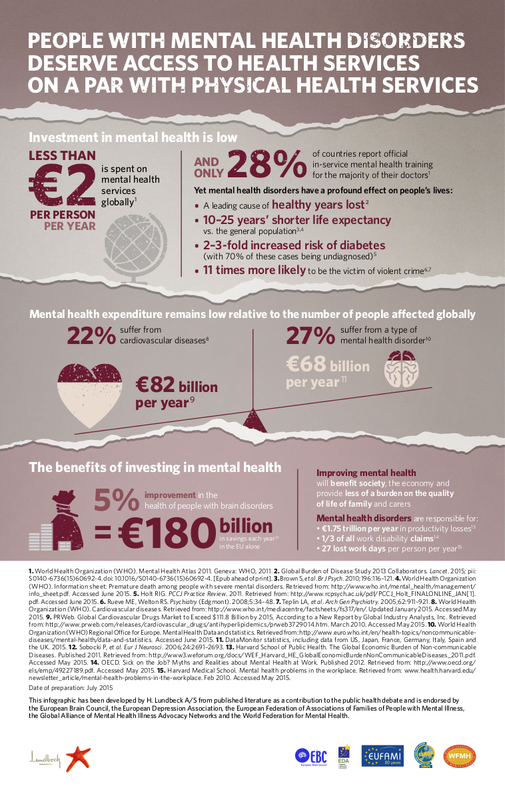 Yet, despite the burden of poor mental health worldwide, investments remain too low, especially when compared to other diseases. Why should people with poor mental health be treated differently? Why should their access to care and services be different from people with other diseases? Find out more how you can support better mental health for all.